Because of the weather, the ribbon cutting ceremony for the new section of the 195th trail has been cancelled. Originally scheduled for Friday, February 15, 2019, at 9:30am, it will be rescheduled. The new sidewalk section connects the 195th Trail from Ashworth to the Interurban Trail alongside Echo Lake. 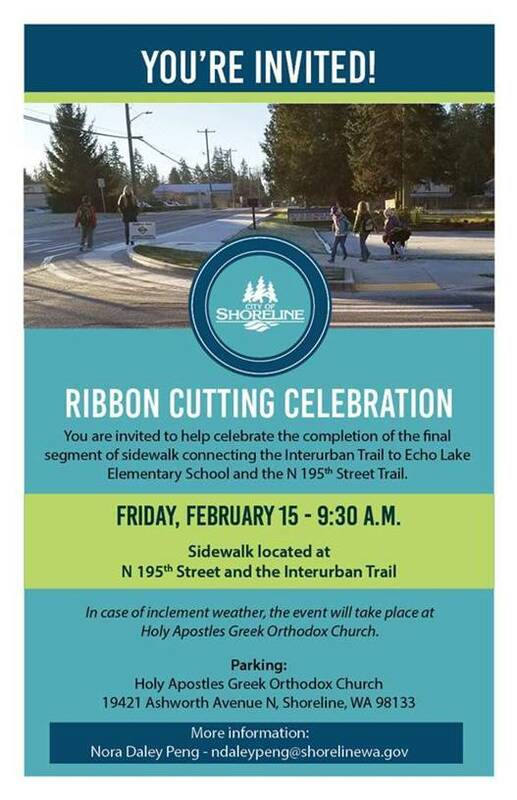 Echo Lake Elementary school and Holy Apostles Greek Orthodox Church are located at the 195th and Ashworth intersection.